When you click on an area of your image, the camera will set the focus to that. You can see this by looking at the yellow box around the area in focus. The sun icon to the right of the box changes the exposure. Try manually adjusting this by sliding your finger up or down the sun. 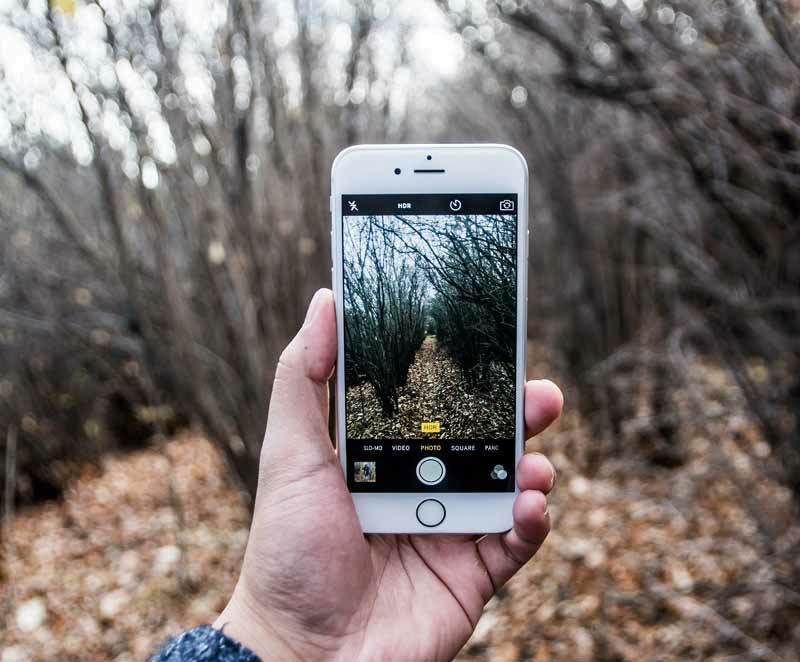 By tapping and holding down on the screen for a few seconds, your phone will activate the “AE/AF LOCK.” This sets your exposure and focuses to “Auto,” so that you can continue to take photos and move your phone without changing these settings. Change the exposure to your liking when you’re setting the scene for a photograph. You’ll be able to see how much detail and light remains in the foreground when you do so. Your creative vision will determine what you choose to expose and what you don’t, so take this into consideration every time you set the focus and exposure. When you leave a photo underexposed, you can return to it at editing time and make the proper lighting adjustments then. When a photo is overexposed, it’s difficult to recover the detail that gets lost in the bright whites. A common overexposure is when you direct your lens at the sun. This can create a flare that eliminates some of the crucial detail in overexposed areas. By changing the angle you shoot at, you can avoid flares and direct sunlight. As shown in the video, this allows you to focus on subjects and their shadows. Overexposure can also work to your benefit when used correctly. For example, when there is snow in your picture, an overexposed sky can create a balance between the bright whites and work together in the image. Strong shadows can show drama and emotion in your work. By carefully planning and underexposing, you can use the shadows to show focus in your composition. Casting dark shadows around the central subject of your work will remove any distractions surrounding it.